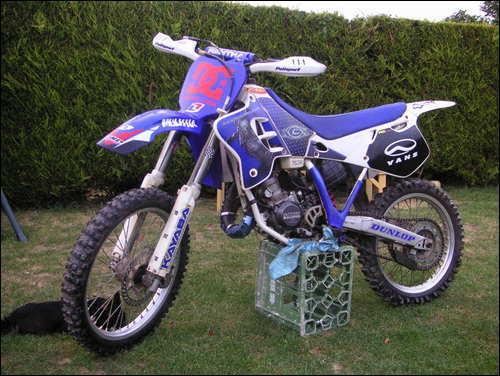 My bike yz125 What uses think. Boyesen rad valve, Racing flywheel, Fmf Q pipe, Xgx graphics, Loads more ive put so much into that bike. I have sold it, I did race it. Just put the logos on it when i was selling it.